Dogs are man's (and definitely woman's) best friend and we take them everywhere we can. To get them to fun destinations a vehicle is usually involved and with dogs being dogs things can get pretty dirty. 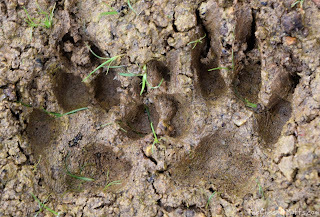 Let's say you take a trip to the dog park and your dog is completely filthy after romping around with his buddies in the mud. You look at your dog, you look at your car. A towel on the seat isn't going to cut it this time. 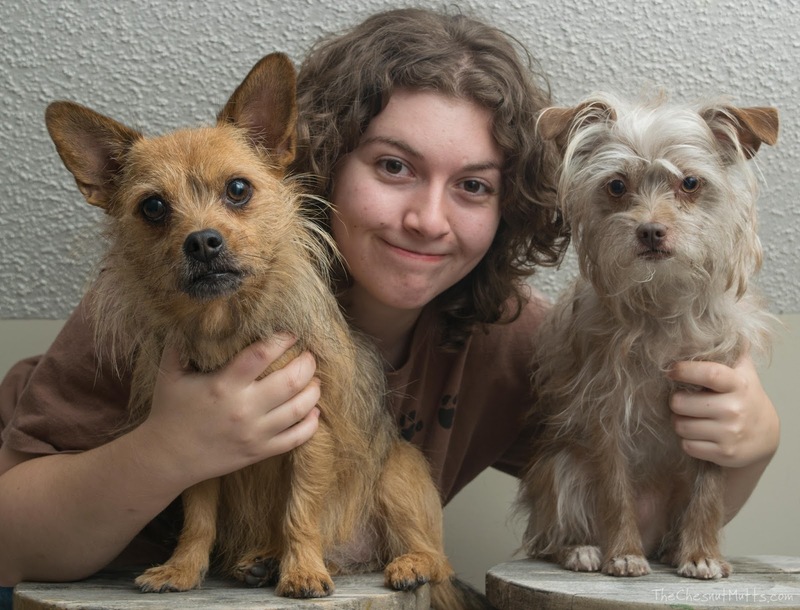 What's a dog parent to do? 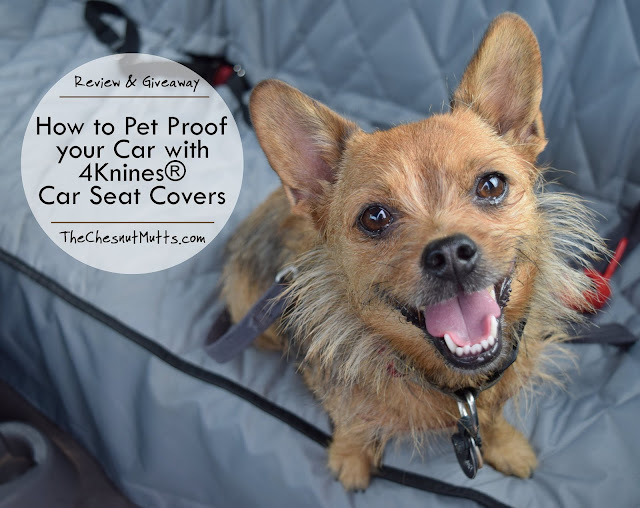 Thankfully 4Knines® has you and your car seats covered so you don't have to fret over muddy pawprints. 4Knines® was started by Jim and Maggie with their two Dobermans, Ares and Ana. 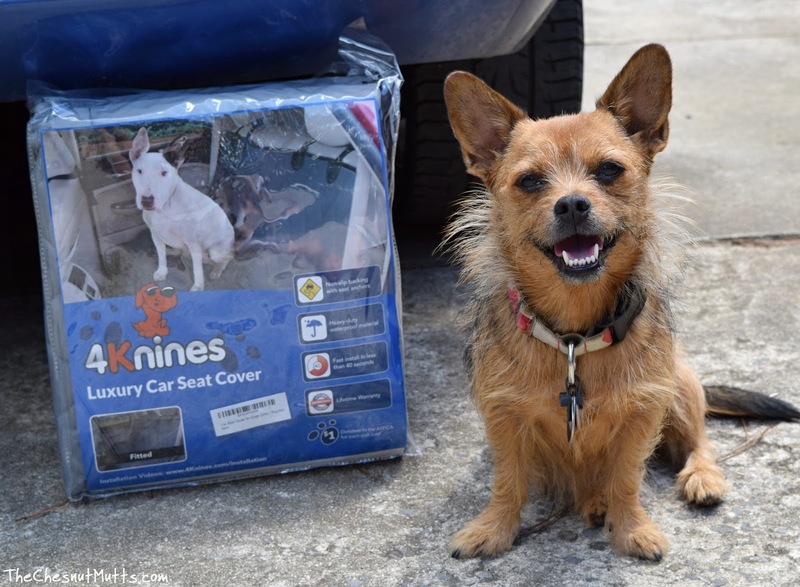 There wasn't a car liner that could stand up to their pups so they created their own! 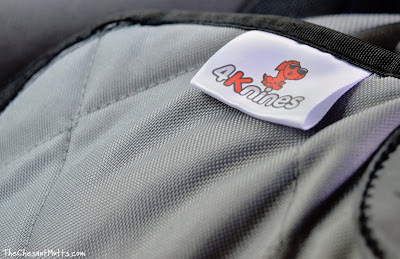 I have heard about 4Knines for a couple of years thanks to other pet bloggers and was so excited to meet them this year at BlogPaws. I got to see their liners in person and I was impressed. 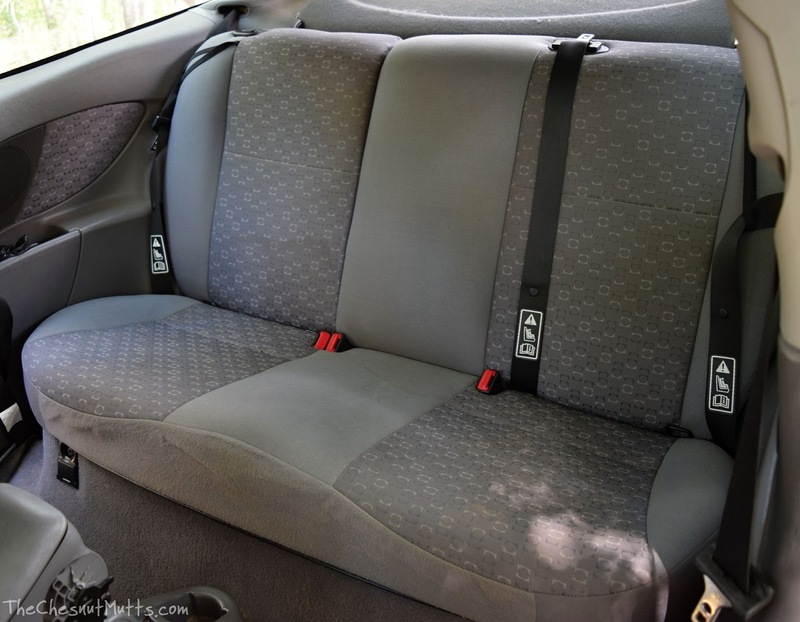 Thankfully we got to work with them and test out their Fitted Rear Bench Seat Cover. 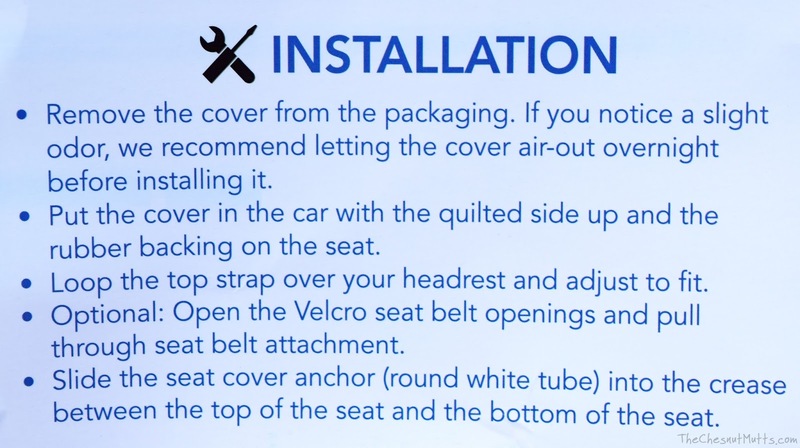 On the package, it states that the car seat cover has a non-slip backing with seat anchors, heavy-duty waterproof material, a lifetime warranty, and installs in less than 40 seconds. Plus, with every unit sold $1 is donated to the ASPCA. One thing I am not too happy with is that it is made in China. I know it is cheaper to produce things overseas, but making it in the U.S. would be a relief to pet parents. I did find this little easter egg left by Jim pretty amusing though. So I have a 2003 Ford Focus (also known as the Mutt Mobile) and I cleaned it real nice for this review. Cleaning it took forever, but installation was very quick! "Are we going for a ride yet, Mama?" 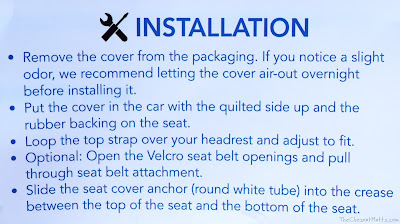 From the instructions I posted above it can seem kinda confusing, but it really isn't. 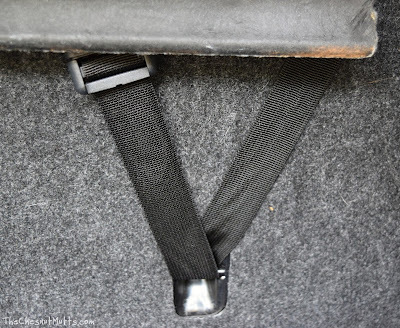 If you have head rests you strap the cover onto them, if you don't you might have these little places on the back of your seat where you can wrap the strap around or use a carabiner. The picture below is seen from my trunk. I tighten those straps up, stuck the strap with the PVC pipe looking plastic bit on it in between the top and bottom of the seats, pulled my seat belt buckles out, and I was done! The fabric is really nice and thick. High-quality and durable. Usually things that are waterproof are slick, but this is a nice combination of comfortable and tough fabric. So let's test it out! 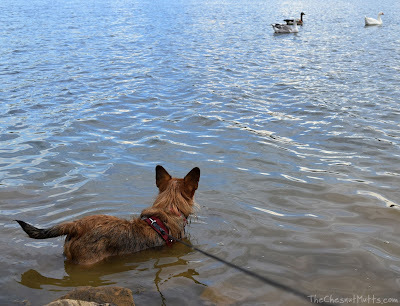 I took Jada to our local dirty place which is a lake with a lot of ducks! She had a blast smelling all the smells and wading in the water. By the time we got to the car Jada was mostly dried off so not a lot got on the liner. What did get on the liner was easily cleaned off. 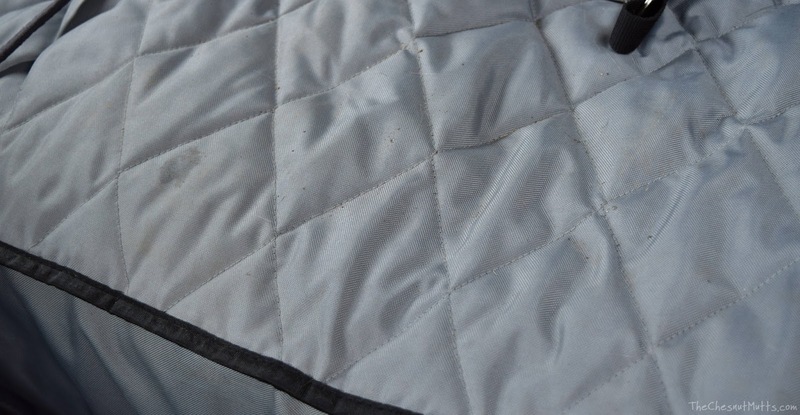 You would want to spot clean 4Knines liners and if they do get super dirty you can put them in the washing machine. When I didn't have dogs in the backseat and instead had people, I didn't have to take the liner off or anything and my guests actually told me how comfy it was to sit on compared to no liner! Gotta love that quilted fabric. There are many styles of liners to choose from. From your front seats to your back they can cover it! I really like the quality of this 4Knines® car liner! 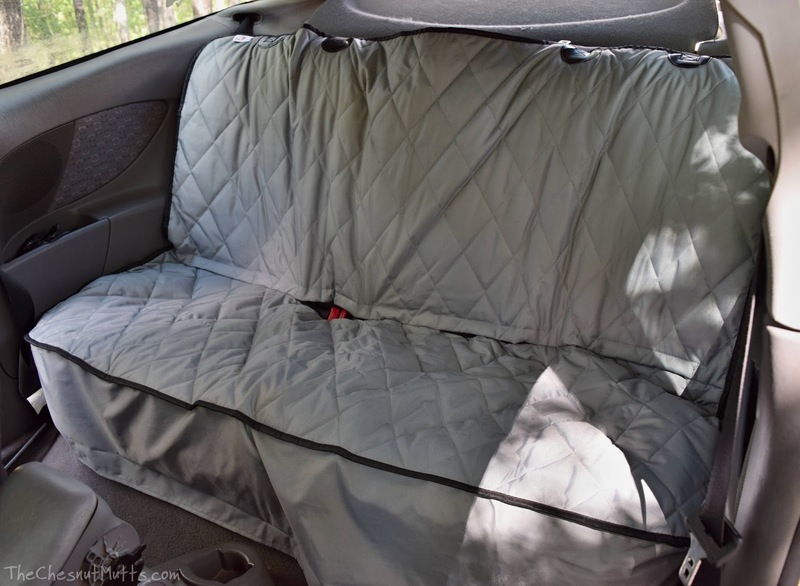 The fabric is durable, yet comfortable and easy to clean. Since I have started using it, I haven't had any problems and my car is protected. I can see this being in my car for a very very long time and through many adventures. It is so nice to not have to worry about getting my car covered in dirt and dog hair because all I have to do now is wipe it all away! Update: With Fezzik going with us on car rides this has been a lifesaver! He drools and just in general, big dogs make big messes so this is highly recommended for all big dog owners! 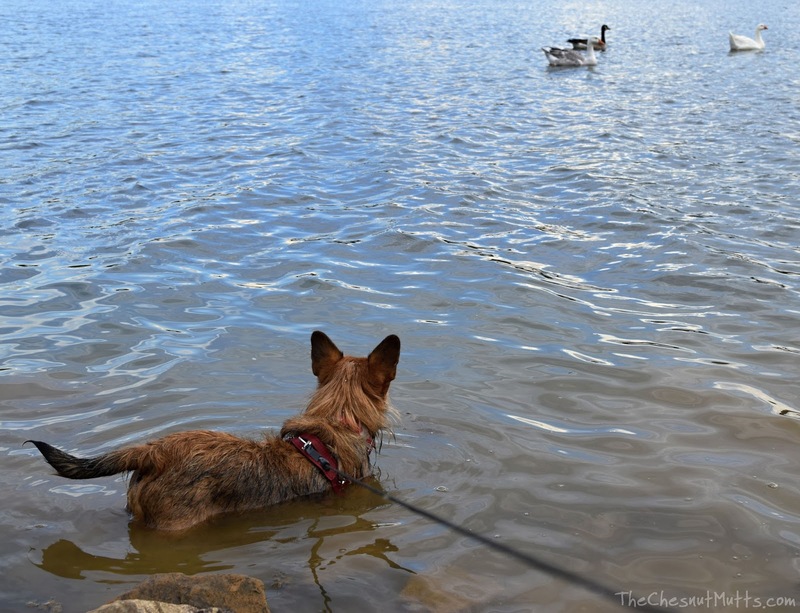 Do you go on adventures with your pet? We take Beauregard with us just about everyplace we go.He loves going and finding new things to do. Sadie always goes with us on roadtrips to visit family. She always gets excited about going! we are always going on road trips...this would be awesome! Yup! Kenji loves going for long rides in the car! Since our dog Shunta got old we don't do much but now we have a pup also now so would like to go places more. It would also be good for Shunta too. My pups love to go hiking with us! my little girl lovessss car rides! we would love to have this! i used to with my oldest gal but she is elderly, has dementia, almost blind, deaf and has terminal cancer. so the traveling is with my 2 younger girls. we dont go for overnite adventures b/c i cant leave my oldest dog alone for very long. 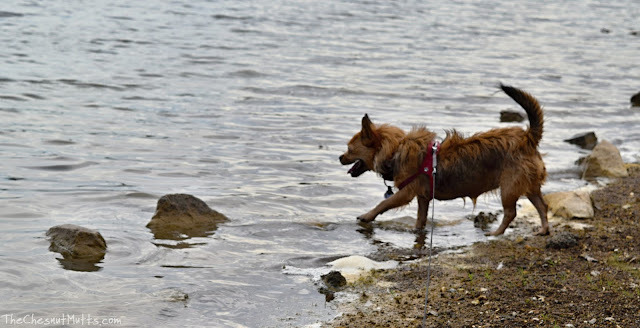 We take our 2 dogs (German Shepard and Yorkie) hiking in the woods and also we go to The great south bay, Atlantic ocean and Long Island Sound. The Yorkie is the more adventurous (fearless) of the two. I have three very unruly rescued Treeing Walker Coonhounds. I try to take them on adventures, but sometimes have to take only one or two at a time. I also am a volunteer rescue transport driver, so I often have dogs other than my own in my vehicle, so protecting my seats with something that can be washed is always a good idea. We take our 2 Boston's on short city trips to the park or else where for walks. I used to travel with my baby girl all the time, she grew up in a semi truck! We try to take our pups on trips as often as possible. Getting fresh air and going on adventures helps to make our souls happy. We love taking the dogs down to the river, hiking and up to the mountains. I take my dog to the dog park all the time and we go on runs together. My buddy is not very adventurous but nevertheless he travels with us whenever we go. I take my dog on all sorts of adventures.. the park, the beach, visiting my sister who lives on a campground, she's spoiled. We take our dog, Jasper, most everywhere with us. 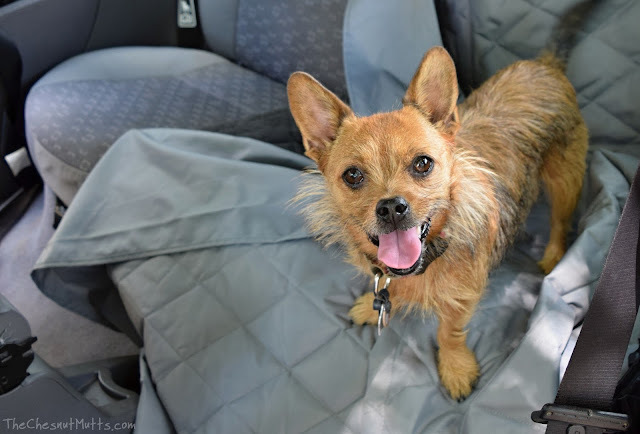 He loves to ride in the car and explore everything like us! No, my dog does not go on adventures with us. My dog is small so he can't go far, but when we go hiking we bring a bag he can sit in when he gets too tired. We love to take our dogs on adventures! Someone tried to buy our great dane on the last little adventure... we said, uh, no thanks. We love taking him on road trips visiting people. My dog loves to ride in the car with me. 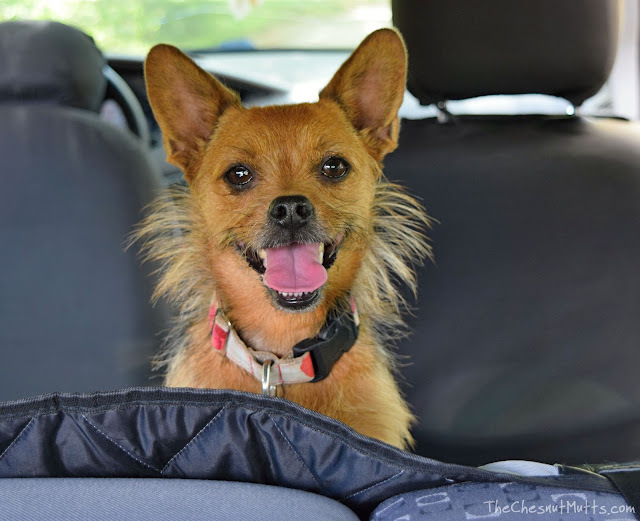 I wouldn't call them adventures, but the dogs are in the car a lot. In addition to the normal groomer/vet/pet store, we go to a lot of training classes and agility trials. Yes! Our furbabies love going with us! Camping and geocaching mostly! Beau and Tucker go everywhere we go - except work! 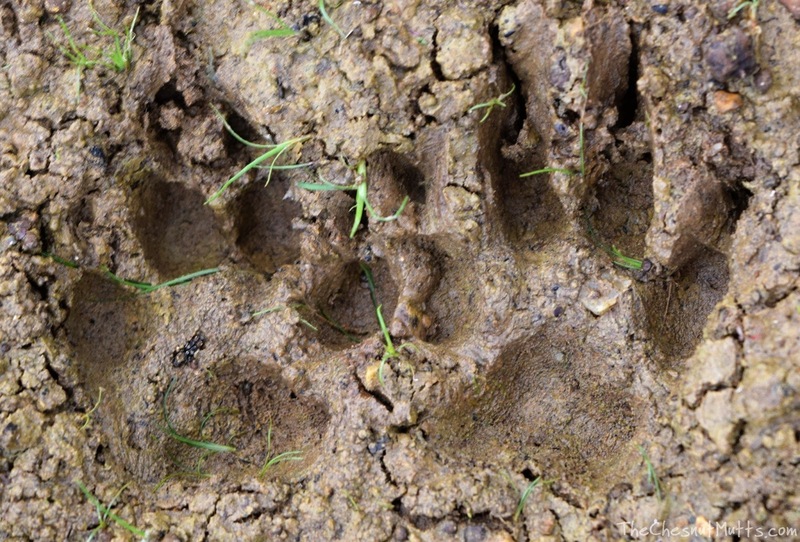 We think adventures with our pets are always fun. I love that last photo...such a happy dog!